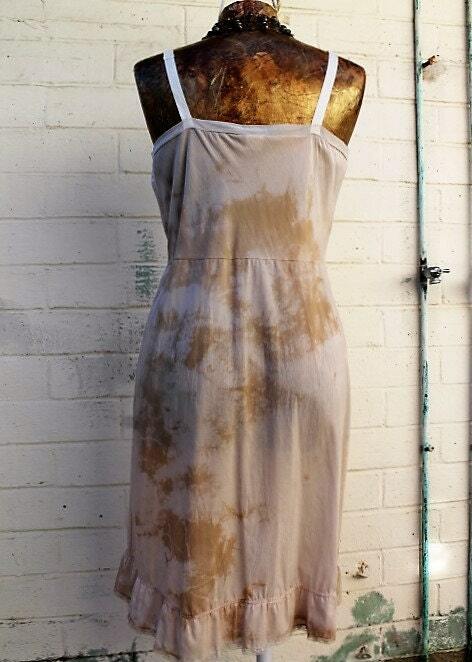 Sweet and Lovely tea stained ecru cotton Sundress is so feminine. Simple style with a romantic details of antique lace on bustline and flounce. 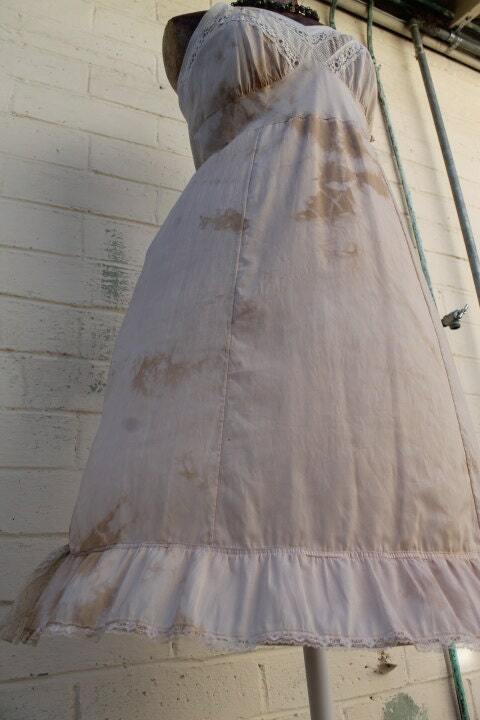 Walnut ink stained french ribbon accent on side flounce. 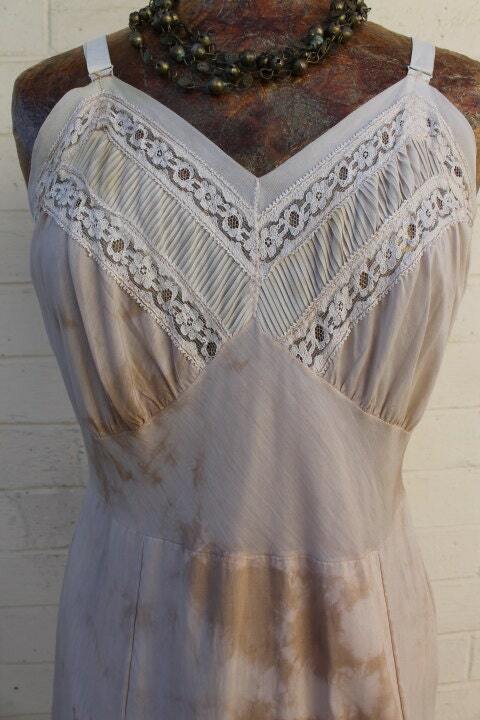 One of a kind dress to dress up with, layer over to be worn with cowboy boots or flip flops. 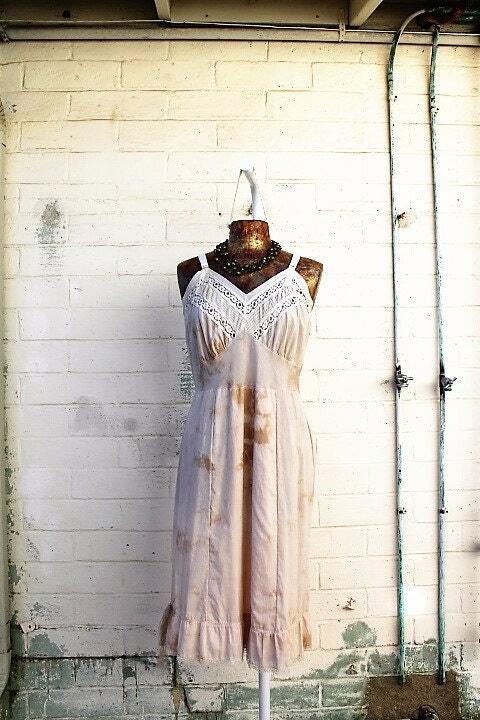 Great sundress for holiday in Spain or to a summer music festival. 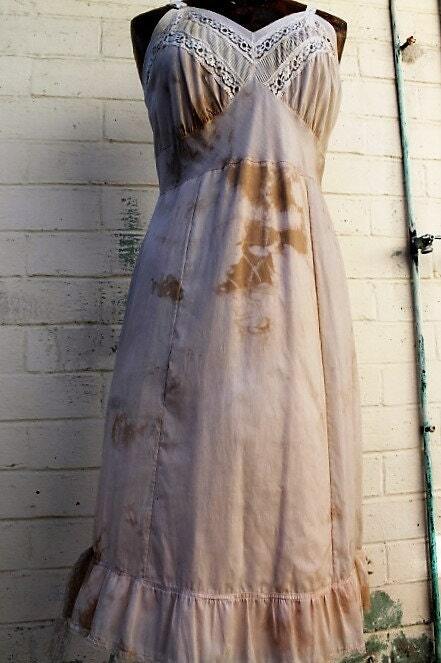 This cotton sundress is comfortable and created with organic dyes. Length with adjustable straps give and take 3 inches: 42"
Payments accepted through Paypal, etsy checkout and for local we can meet at the coffee house. I usually ship items out on Thursday. No extra costs for confirmation or insurance if requested. International shipping available on each items price guides at the bottom of my listing. I cannot ship any items to Italy due to the import restrictions on clothing.